How to use social media for B2B marketing campaigns? Stop being creative. And forget that you’re trying to sell. Yes, in case you hadn’t noticed, with social media we’re dealing with social networks, not a list of broadcasting platforms where companies can launch campaigns with the sole ambition to sell more. With social media, the users have finally taken control. They themselves control what they want to see, and they sure as h… don’t want to follow companies that are only there to sell to them. A few months ago I learned that the Maersk Line approach to social media is “radical”. I don’t see it that way. But I understand where it’s coming from: Our Social Media Team is rooted in Communication, not Marketing, and we therefore have a different approach to things. We’re not trying to manufacture anything. Rather, we’re trying to tell the stories that are already there, including those that are important for the business to communicate, e.g. about our new incredible mega ships, our efforts to reduce bunker fuel consumption, our knowledge within refrigerated transport or simply the company history. Apart from focusing on stories that are vivid, crisp and visual, it’s crucial that they are honest, down-to-earth and credible. Otherwise they don’t travel well in social media, if at all. The exception that proves the rule: This timelapse is evidence that we do ‘manufacture’ stories a bit from time to time. Almost 1 million people have viewed it so far. We’re talking 20-25%. That’s the raise in knowledge worker’s productivity that McKinsey estimates can be obtained through internal usage of social collaboration tools. That number came out last summer through their social media report entitled The Social Economy, and the lead from the project, Michael Chui, was kind enough to join us in a Hangout to explain further. More specifically, the point of McKinsey’s study is – and it’s based on an impressive and convincing amount of research – that office employees on average spend 28 hours a week or more than 60% of their time writing and reading emails, searching for information and attending meetings. Many of these things can be done more rapidly and efficiently through internal social platforms such as Chatter, Yammer and Jive. A magnetic pull of scrap metal, not unlike what sales reps should strive to achieve via social selling. Painting by Michael Kareken. 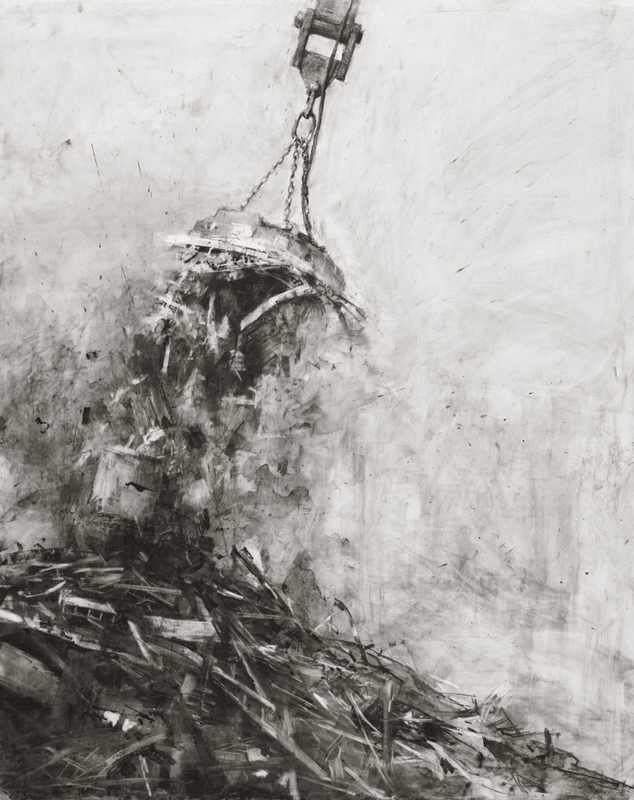 “Magnet” (2010), Conte, 24″x18″. Moving on from our findings regarding Social Customer Service, it’s now time to look at what we learned in Maersk Line’s social media study regarding Sales and not least the concept of social selling. Briefly put, social selling is about leveraging sales reps’ use of social media to perform better by getting in at an earlier stage in the sales funnel. It’s not about these employees spamming their networks/customers on e.g. LinkedIn and Twitter. In less than one and a half year shipping giant Maersk Line has secured an astounding 780,000 fans on Facebook and a comprehensive presence on 11 other platforms. Including 40,000 followers on Twitter, 30,000 on LinkedIn, and 22,000 on Instagram. At an extremely low cost the campaign has changed the face of Maersk Line – in a conservative B2B industry “where you think no one would be social”. After having been in a “listening phase” for a couple of years, Maersk Line – the world’s largest container shipping company – decided to in-source a social media specialist to its communications department to get the company started on social media. In October 2011, after having been employed for a week, his strategy was approved by the CCO. The strategy outlined “getting closer to our customers” as the key overall target while pointing to brand awareness, brand loyalty, employer branding, employee retention, customer insights and even co-creation as other positive outcomes. The strategy also made clear that platform differentiation is the way to go: The company was advised to use different platforms for different purposes. 780,000 fans on Facebook with record-high engagement level. A purposeful presence on Twitter, incl. setting up a Twitter panel of select employees (incl. a captain, a graduate and a number of top executives). 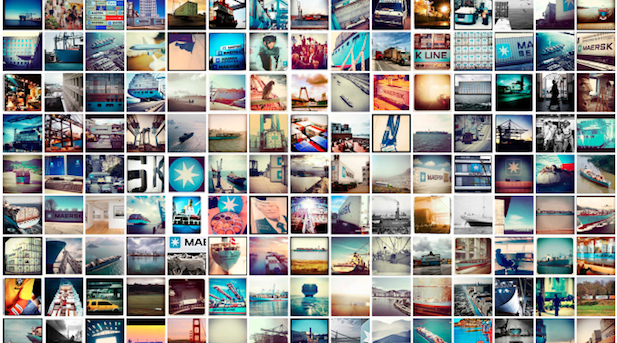 A cool and elegant presence on Instagram which has started a #maersk spotting trend across the globe and has secured Maersk Line a place on Instagram’s elite list of ‘Suggested Users’. 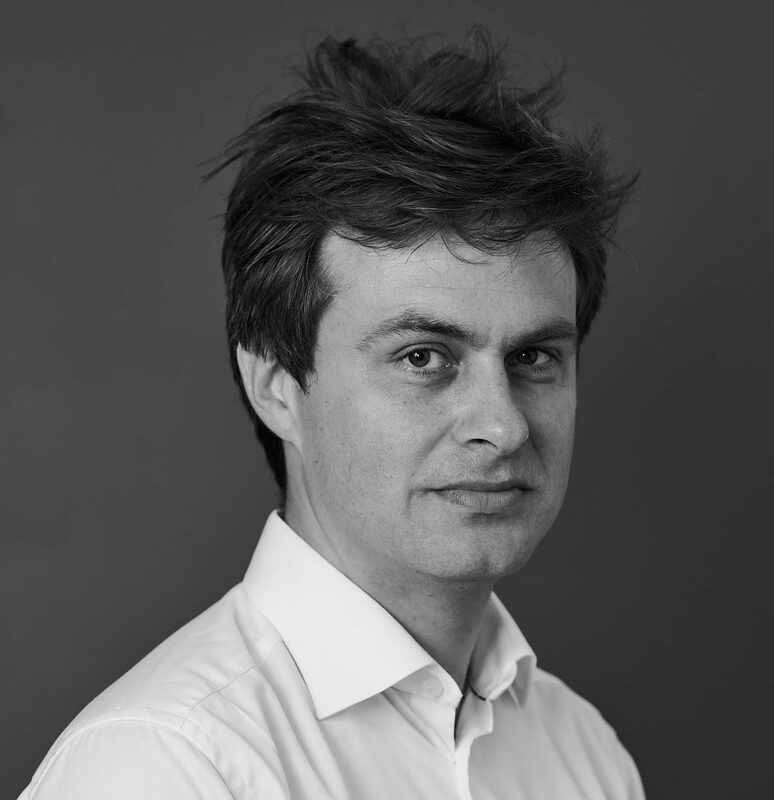 The creation and maintenance of “The Shipping Circle”, a group on LinkedIn where shipping experts share their insightful thoughts and ideas with the company – valuable input that’s set to influence management decisions. The company’s more than 150 country communication managers around the globe can now do local posts via the global Facebook page, thereby ensuring both simplicity, brand alignment and effective/relevant customer communication – and also ensuring that Maersk Line really do “get closer its customers”. In a mini-survey made in July 2012 in order to measure how good Maersk Line is at social compared to the 12 leading brands on Facebook, Maersk Line came in second with a score of 37.0. 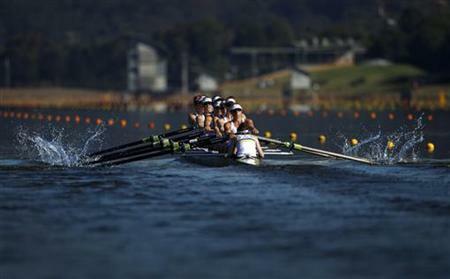 In comparison, Lego scored 48.0, Disney 34.2, Shell 19.1, Red Bull 6.0, and Coca-Cola 2.2. The “Maersk Line in social media” story has already gotten its fair share of media attention, highlighted as setting a new standard for B2B companies in social media. On more than one occasion top 5 social media experts have also displayed their enthusiasm, e.g. Jay Baer and Scott Stratten. And currently both M.I.T. and Harvard University are writing case studies about Maersk Line for their curriculum. However, the most remarkable thing about the campaign is the extremely low cost at which it has been run: Apart from occupying less than one FTE, it has only brought about around $ 100K in other external expenses, allowing Maersk Line not to look further into things such as ROI. 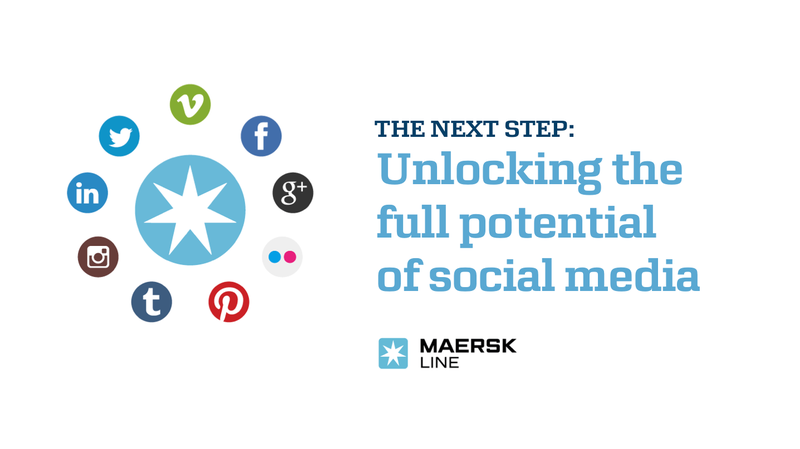 Nevertheless, Maersk Line conducted a comprehensive social media study in Q4 2012, in order to evaluate the efforts – and decide where to take social media the next 2-3 years. The study revealed that the value creation so far has been far out of this world, with a ROI of more than 1500 %. The math actually showed a ROI of close to 5000 % – so 1500 % is a very conservative estimate. The study was done as an open innovation process with both leading american consultants and key stakeholders within Maersk Line being interviewed in a series of Google Hangouts. The frontpage of Maersk Line’s comprehensive study. The Maersk star in the middle of the social ‘solar system’ refers to Maersk Line Social, a website dedicated to social media. The outcome of the 75-pager was a tangible recommendation to the top management of expanding the scope of social media in Maersk Line to include both Customer Service and Sales – and to further develop the setup in the communications department. Also, internal collaboration was highlighted as the area with the most potential looking ahead. The management approved the recommendation, and in 2013 Maersk Line is therefore focusing on implementing social media across the organisation – and on turning social engagement into direct bottom line value.